Our staff appreciation awards luncheon will be held this Monday, March 21 from 11:30 a.m. to 1:00 p.m. in the dining room. 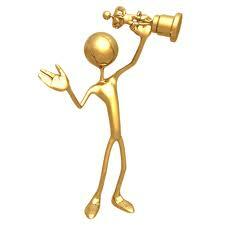 Once again we will give out the Performance Excellence Awards, Extra Mile Awards, and Star Heel Awards. Thank you for taking the time to nominate one or more of your colleagues. We had many wonderful nominations and the recipients are very deserving. The committee had a difficult job and I appreciate their willingness to make the hard choices: Susan Austin, Becky Carter, Kendra Cotton, Kevin Justice, Random Gott, Jill Moore, Rick Morse, Anna Terry, Meredith Wales, and Tom Thornburg. Special thanks to them. Tom chairs the group and he passed along the following comments from some of the award nominations. I read them quickly and assumed that these were drawn from people who will be receiving awards. Instead, it turns out that the following comments are taken from nominations for folks who were not the final recipients this year. These passages just prove that our staff is excellent and that all of them deserve to be honored. Take a look at these comments and you will see what I mean. I hope you will join us on Monday to honor all of our wonderful professional staff. It is especially important at a time when pay raises are not available to reward people for their good work, and when people frequently are taking on additional responsibilities. I want our colleagues to know how much we appreciate them, so come and join the fun.